Dark Horse is excited to announce its first official American Gods products. Following the successful premiere on STARZ in the U.S. and Amazon Prime Video internationally, the American Gods TV series, produced by FremantleMedia North America, is based on Neil Gaiman’s award-winning novel of the same name. In collaboration with FremantleMedia North America (FMNA), Dark Horse Deluxe will release a slate of collectible products including a sculpted coin replica pin, playing cards, barware, embroidered patches, coaster sets, lenticular cards, journals, and optical illusion products. The Dark Horse Deluxe first product release with FMNA will include a 2-pack pint glass set and a 3-pack shot glass set commemorating the infamous watering hole of the Gods, Jack's Crocodile Bar. 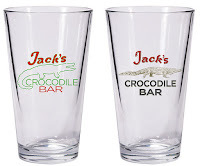 The American Gods: Jack's Crocodile Bar Pint Glass Set features the bar’s logo on one side of the glass and “A Great Place for a Beer and a Bite” on the other. 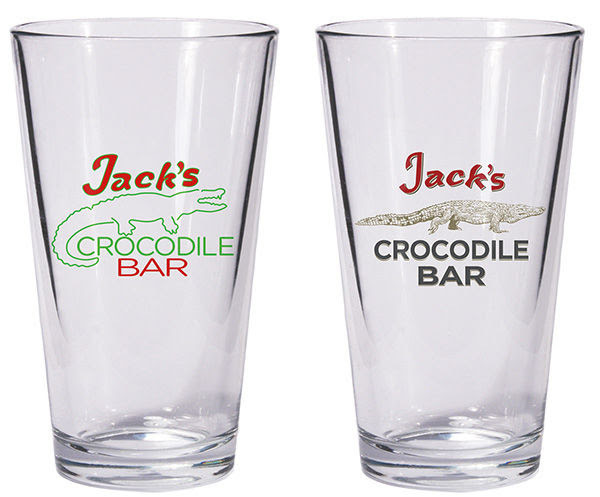 The American Gods: Jack's Crocodile Bar Pint Glass Set goes on sale August 16, 2017, and will retail for $19.99. The American Gods: Shot Glass Set has one glass for each step of Shadow Moon and the mysterious Mr. Wednesday’s fateful deal: one shot glass is the compact, one is the seal, and one is the charm. The American Gods: Shot Glass Set also goes on sale August 16, 2017, and retails for $14.99. Dark Horse Comics also publishes the comics adaptation of Neil Gaiman’s award-winning novel. The first three issues of American Gods: Shadows are currently available at local comic shops. Visit DarkHorse.com for more information.